Michael Kelly and Michael Stordahl of Q10 Realty Mortgage & Investment Company arranged $8.5 million in financing for two Class A warehouse buildings located in Meridian Business Park in Albuquerque, NM. As a correspondent for this Life Insurance Company Investor, we provided a 15-year fixed-rate loan, a 25-year amortization, and flexible prepayment options for the Borrower. As one of the city’s Class A industrial parks, Meridian offers rigid development standards, set-back requirements, abundant parking and well-planned streets and landscaping. 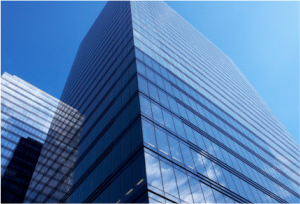 Michael Kelly and Michael Stordahl of Q10 Realty Mortgage & Investment Company arranged through coordination with the Houston Q10 Capital Partner, Q10 KDH, $6.5 million in financing for Bay Terrace multi-tenant office building located in Houston, Texas. The financing was provided by a correspondent life insurance company who provided a 15-year fixed-rate loan. Interest Rates: Various Interest rate options are available, including 5, 7, 10 and 15 year fixed or floating rates. Target Investments: Conventional apartments with 20 Units or more including apartments with affordable components such as tax abatements and Section 8 Vouchers, etc. During the floating rate period, the rate is reset every six months and amortization is recalculated. Floor rate is equal to the initial fixed rate. Cap Structure: 1-1-5 (Max 1% change in initial reset, max 1% change at each reset, and lifetime cap is 5% over the initial fixed rate. Stepdown Prepay Description: Refers to % of UPB, with years in parenthesis if > 1 year – e.g. 3(2), 2(2), 1(3) is two years at 3%, two years at corresponding pricing changes. Pricing will vary based on many factors, including low LTV and high DSCR. Above rate is only an estimate. Top Market pricing will be approximately 30-60 bps below Indicative Rate listed. Our business is built on strong relationships, and we strive to deliver the capital you need for you next loan with a hands-on approach. We would appreciate the opportunity to represent you on your next transaction. Please call to speak with one of our producers at (303) 770-5979 or (505) 830-7664 or email mkelly@q10rmic.com. Michael Kelly and Michael Stordahl of Q10 Realty Mortgage & Investment Company arranged $7.0 million in new financing for Clifford Plaza I & II office buildings located in Albuquerque, New Mexico. The three-story buildings are over 100,000 Square Feet and are 90% occupied after a substantial renovation of all common areas and major tenant improvements. Michael Stordahl, Vice President with Q10 Realty Mortgage & Investment Company arranged $3.4 Million in financing for a FedEx Ground Facility in Dickenson, ND. 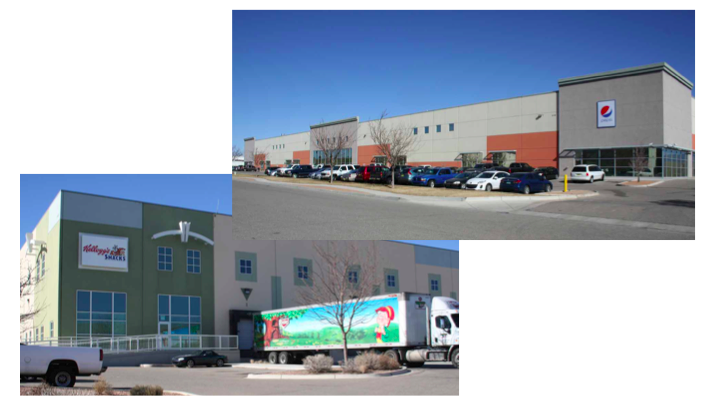 The facility contains 21,662 SF of office and warehouse space and is currently 100% occupied by FedEX. The building was constructed to service the growing demand for shipments in the SW quadrant of North Dakota. Dickinson has become one of the fastest growing cities in the United States with a strong economy and a current unemployment rate that is one of the lowest in the nation at 1.8%.